(CNN) - Marjory Stoneman Douglas school shooter Nikolas Cruz allegedly tackled and repeatedly punched a jail guard, then took his stun gun Tuesday in a fight, an arrest report shows. 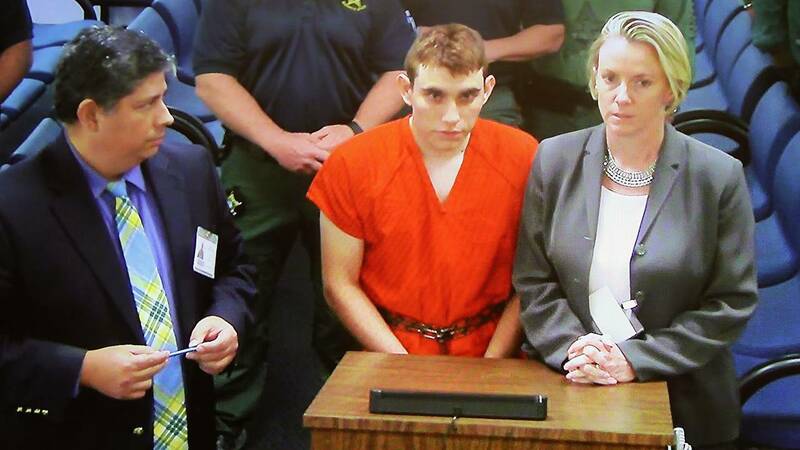 Cruz, 20, who is awaiting trial on charges related to the February mass shooting in Parkland, Florida, now faces additional charges of assault, battery and use of an electric weapon on the guard, the report states. The incident began when Sgt. Raymond Beltran with the Broward County Sheriff's Office main jail requested that Cruz not drag his sandals on the ground while walking around the dayroom area, the report states. In response, Cruz flipped his middle finger, then rushed Beltran and struck him in the face, the report states. Cruz took the officer to the ground and struck the top of his head with fists, the report states, citing video surveillance of the incident. Cruz then took Beltran's stun gun -- dubbed a "conductive electronic weapon" -- from him, and as they wrestled over the device, the weapon discharged, the report states. Cruz struck the sergeant several more times until the guard regained control of the weapon and struck at Cruz's face, the report states. Cruz then retreated to a seat, and Beltran took him into custody, according to the arrest report. Cruz has been in jail since he killed 17 students and teachers during the shooting at his former school. Cruz confessed to being the gunman and carrying out one of the deadliest mass shootings in recent US history, court documents show. After he was taken into custody, Cruz told a detective he had a "demon" in his head, according to a transcript. He said the voice told him to buy the AR-15 weapon and take an Uber to Stoneman Douglas the day of the shooting. Cruz's attorney described him in February as a "deeply disturbed, emotionally broken" young man. "He is suffering from significant mental illness and significant trauma and he has some very difficult decisions to make shortly, and we're going to assist him with those decisions," public defender Gordon Weekes said. A Broward County grand jury indicted Cruz in March on 17 counts of first-degree premeditated murder and 17 counts of first-degree attempted murder, and a judge entered a not guilty plea on his behalf. Prosecutors have said they plan to seek the death penalty in the case.